Get in touch with Hunter's Tree Service for a certified arborist to provide you with the finest possible tree care services in the Fife, WA area. 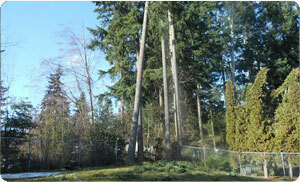 Growing and maintaining trees may appear to be simple tasks that can easily be left to Mother Nature. However, the fact is that many trees need specialized care and upkeep without which they tend to wither away or look wild and unattractive. Our specialized tree care comes from having a trained arborist on staff who has studied in detail about tree biology, health and safety. A licensed arborist knows all about the attention trees need to remain robust and majestic-looking. The decision to hire a certified arborist should never be taken lightly. 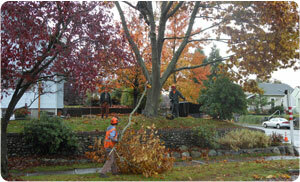 Excellent tree maintenance is an investment that gives substantial results. The choice of a good tree care specialist ensures symmetrical, aesthetically appealing, disease-free and high-yielding trees that increase property values. Not hiring a certified arborist can lead to poorly maintained trees that bring down the curb appeal and value of your property. Such trees become a liability instead of the beautiful assets they are meant to be. A tree service provider that has been in business since 1986, we have acquired unmatched skills along with extensive experience in care and maintenance of virtually all types of trees. 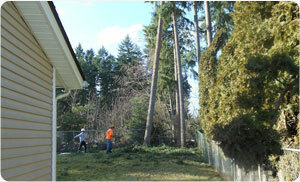 To hire the services of a certified arborist in Fife, call Hunter's Tree Service at (253) 777-1938.